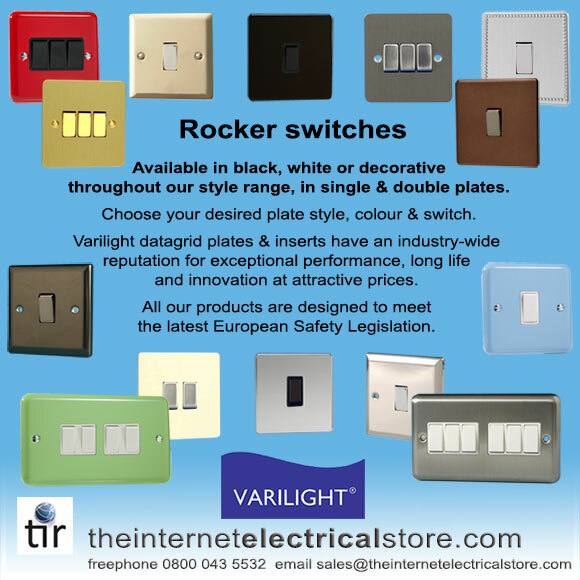 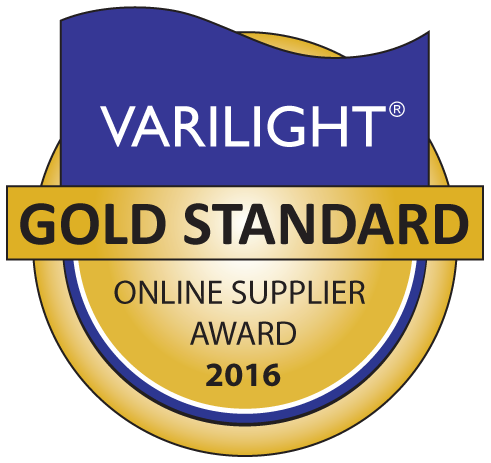 Varilight rocker switches are designed for controlling both mains and low voltage lighting. 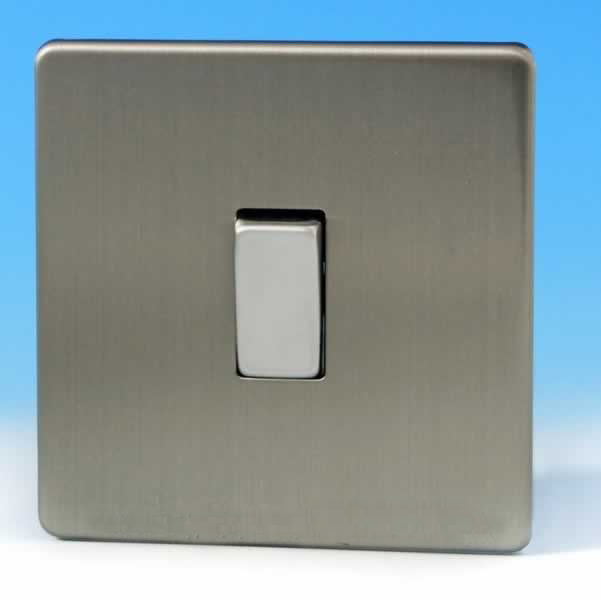 They are also suitable for 1-way or 2-way circuits (where the same lights are controlled by two switches) and are rated at 10 amps. 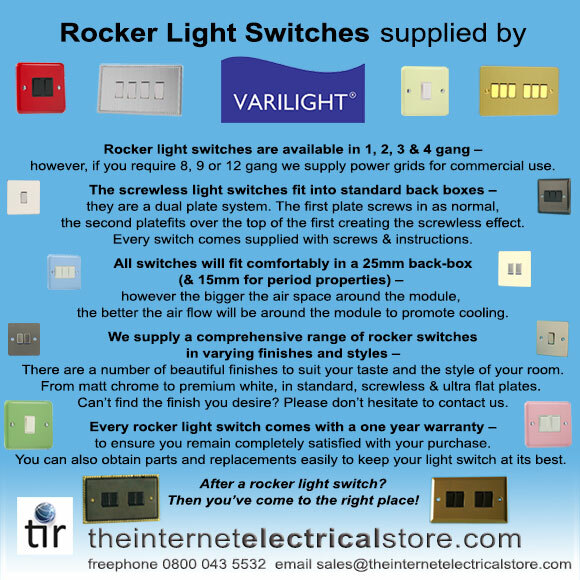 If the lights are controlled by three switches then one of the switches in the circuit must be an intermediate switch enabling you to link all three switches together. The range consist of over 25+ finishes including matt chrome; brushed brass; satin chrome; iridium black and premium white.